Taco Bell, McDonald’s, 7-Eleven, Burger King Hours Christmas Day, Eve 2016 - Is Open, Closed? Monday Day After? While most everything is closed on Christmas Day, some locations are open. 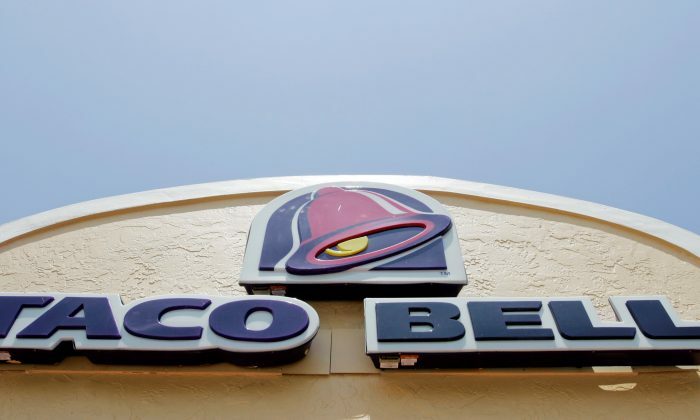 Taco Bell is closed on Christmas Day, with some exceptions. Check local hours before going out. 7-Eleven is open 24/7—and it will remain open on Christmas Day. McDonald’s is open on Christmas Day, with different hours. Check before going. Burger King is open on Christmas Day. Check before going. The vast majority big box stores like Target, Walmart, Sears, Best Buy, Costco, and Kmart are closed. Albertsons is open until 4 p.m. Some stores and restaurants are also open, however. Walgreens / Duane Reade – 24-hour locations are open; most stores open 8 a.m. – 10 p.m.
Rite Aid – 24-hour locations are open; or between 9 a.m. to 5 p.m.
CVS – 24-hour locations are open; or 10 a.m. to 8 p.m.
Albertson’s – Open on Christmas until 4 p.m. Opens at 9 a.m. But check local listings. Denny’s – It be open Christmas Day. Hours will vary. Circle K – Stores will be open on Christmas Day—with most operating with regular hours. QuikTrip – Stores will be open Christmas Day, with most operating with regular hours. Buca di Beppo is open Christmas. Chart House is open on Christmas. IHOP is open on Christmas Day. Papa John’s is open on Christmas. Waffle House is open on Christmas. Banks are closed on Christmas and Monday. Monday, Dec. 26 is considered federal holiday—meaning that most, if not all, banks are closed for the day. The post office, DMV, schools, libraries, and most government offices and agencies are closed. The Stock Market doesn’t operate, either. There is no mail on Christmas Day. UPS and FedEx don’t deliver on the holiday. This includes pickup and delivery at locations, which will be closed. And UPS also does not deliver on New Year’s Eve or New Year’s Day. Mail delivery is halted on New Year’s Day as well.